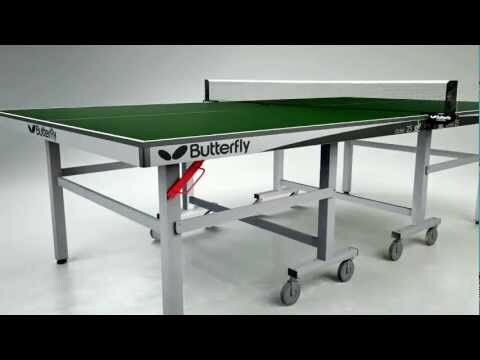 With the 25mm Anti Skid top, the Butterfly Octet is a top of the range table for international, club and sports centre use. The table has the benefit of the 8 wheel system which provides more economic storage and a lighter rollaway system. Top quality, heavy duty 8 wheel match table, designed for clubs and sports centres. 25mm ‘Anti-Skid’ playing top, gives more consistent and true bounce and providing the highest level of playing surface. Ideal match table where single half movement or multi rollaway table storage is required. Minimal storage space required – for multi table use the tables fit together for more economic storage. Protected by strong steel frame with magenta corner pieces. Height adjusters on each leg to ensure level playing surface.